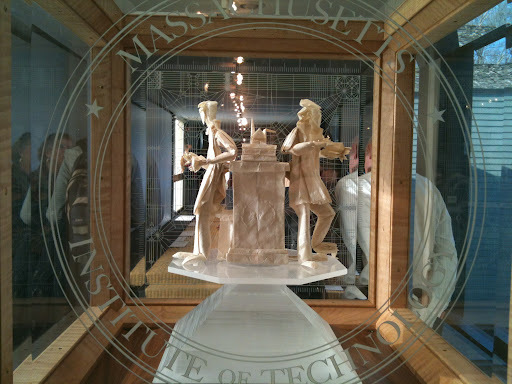 I visited the Fuller Craft Museum on Sunday to see their recently installed exhibit, Mens et Manus: Folded Paper of MIT. What an inspiring exhibit, and I was fortunate enough to make it into a lecture given by Erik Demaine, MIT professor and Mens et Manus exhibitor. Here's an article about Erik in the New York Times. Math + art. 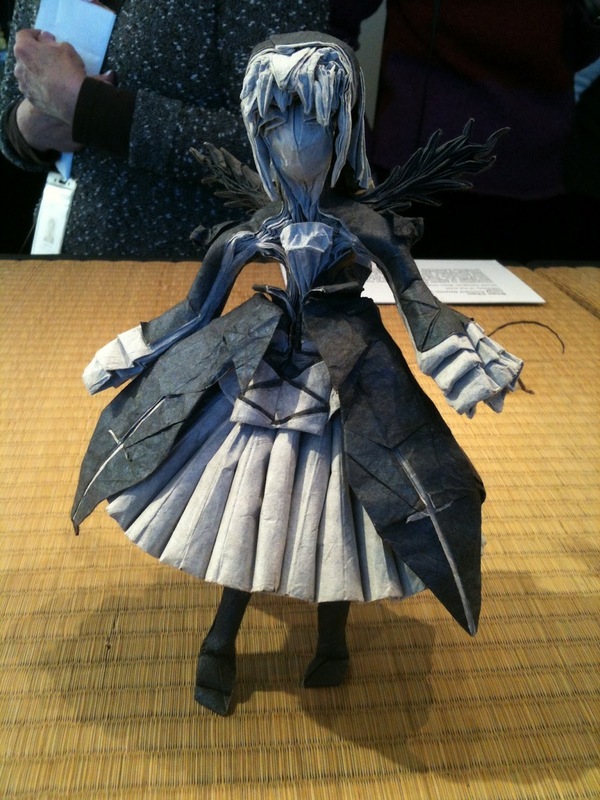 All of these pieces are formed from a single sheet of paper. No scissors, tape or glue. Go see the show if you can, and watch this gorgeous documentary called "Between the Folds" (you can stream it on Netflix). by Brian Chan and Ken Stone. The pattern used to fold this piece is etched into the glass panel behind.